· Keep disinfectant wipes on hand to wipe down surfaces that might be dirty. Staying on top of your exercise and healthy eating regimes will help keep your immune system in check. Getting the recommended amount of quality sleep will also help to prevent your immune system from getting low and potentially contracting a virus. As humans, we are not always perfect and the flu isn’t always avoidable. The best thing you can do for yourself if this happens is to take the medication prescribed by your doctor. While you wait for the medicine to do its job, you can take extra steps to help prevent spreading the flu to others. · Sneeze or cough into your elbow. 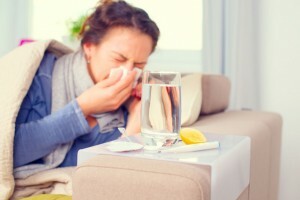 · Avoid being around others if you have a fever. · Properly dispose of any medical waste such as tissues and napkins. Staying aware of when flu season is among us and taking extra precautions can help keep you and your family safe.